Finance Division Regulation Wing Islamabad has issued Notification No. 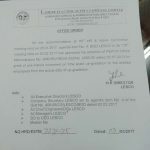 11 (4) R-2/2011-1153/2013 dated 31st May 2013 in connection with the grant of Pre-Mature Increment on the up-gradation of the employees. This decision has been made wef 28th January 2013 and all the employees who have been upgraded wef the same date are eligible to get the premature increment on their up-gradation of posts. As the Govt has not allotted the amount for the expenses of the same case in the financial year 2012-13 so the same amount will be allotted in the next budget 2013-14 to meet the expenses for the said cases. Various appeals were submitted in the Federal Service Tribunal for the said purpose and the notification has been issued in consequence of these appeals. As the Supreme Court of Pakistan made a decision on 28-01-2002 so the benefit of the premature increment will also be applicable with effect from the same date. Mery walid sahab 10-06-2011 ko retired howy te te unki up-gradation BPS 11 sy BPS 14 main 2007 main hui te jiska aik allowance roka hwa hai meri malomat k mutabiq supreme court nay order kardia hai employees ki favor main couert order ki mutabiq 2007 say lay kar ab tak increment dia jai ye order andazan 2012, 2013 main aya hai mje letter ki copy chaye mery walid sb ki death hogai hai 11 January, 2014 main kia iska ka grant meri walidah ki mil sakta hai. My father was Teacher in BPS 17 and promoted to BPS 18 in 2000, He remained in BPS 18 for three years, Later on the Musharraf ordered to degrade all BPS 18 of the same capacity back to BPS 17 . Now I have heard from someone that the Court have taken the decision against appeal regarding degradation to BPS17 to restore them back to PBS 18. One of My father friend told him that I have the court notification of restoration and he has given that court decision letter to someone which he says that I forgot that who has taken the court decision letter from him. If anyone of you know some information regarding the above mentioned court decision can assist me , that from where can I find the court decision or the concerned department. I searched on internet but didnt found any information regarding such notification. I shall be very thankful for your such help. We DEOs recently upgraded from bps_09 to bps_12 in utility stores corporation.. but the corporation do not give the increment on up gradation.. are eligible for increment or not? And if the said post eligible for increment please guide us how can we get our increment. Dear I am appointed in BPS-18 through BPSC Quetta.. from BPS-17. Am I allowed to have Pre mature increment after fixation? AFSOOS SAY YAY BAAT GOVT:OF KPK KAY NOTICE MAIN LANA CHATA HOON KAY FINANCE DIVISION REGULATION WING NAIN PREMATURE INCREMENT KAA JOO NOTIFICATION LETTER ISSUE KIA HAY AUS MAIN ARREAR DANAY KAY ILFAZ WAYZIA LIKH DEAY HAIN AUR TAMAM FEDERAL EMPLOYEES NAIN DATE OF UPGRADATION SAY ARREAR WASOOL KARLIAY HAIN,LIQAN KPK GOVT NAIN AIS KAY MUTAZAD LETTER ISSUED KIA HAY AUR ARREAR KAY LIAY EMPLOYEES KOO NOT ENTITLE KAR DEIA HAY,LIHAZA,CHIEF MINISTER OF KPK SAY REQUEST KI JATI HAY KAY WOO BAZATAY KHUD AIS KAA NOTICE LAYKAR TAMAM ARREAR KPK KAY EMPLOYEES KAY LIAY MANZOOR KARKAY AUR NEW NOTIFICATION JARI KARNAIN KAA HUKAM DAYKAR SAWABAY DARAREEN HASAL KARAIN. Dear I just want to know that if a govt. servant is getting house rent 90% and when he upgraded from grade 15 to 16 his house rent will be less as i m already drawing. As well as in our department upto grade 15 is 90% and grade 16 to onward is 70 % . But my question is under the pay protection law. I was in BPS-16 then after passing commission exam joined in BPS-17 on 3/7/2013. I got service continuation & pay protection but annual increment was not given to me. As I asked in treasury for using option of getting increment of BPS-16; but treasury officials said that you are not eligible for it too. I wana to know if I am eligible for any one or not? Main 2002 main as a PST 3 year contact pe appoint huwa tha us ke bad 2005 men regularise huwa kya time scale ke leye meri service 2002 se count hogi.aur BA,B-ed ki increments milengi. Dear Hameed, if the contract period is counted into ur service then it will be consider for time scale. Dear Faheem you will get the premature increment on 2nd December. sister. 2007 mein meri post ko BS-2 sy BS-3 mein upgrade kya gya tha. abi ja kr meri basic salary me addkya gya hy. pr arrier k ly account officer keh raha hy k isme likha hy july 13 sy mily ga. bilkul nh man raha. kya kare hm. kaisy usy samjhain. Dear Azhar yeh premature increment ki amount july 2013 main allot hui thi. pehlay budget nahin tha. lekan yeh back dated employees kay liay bhi hay jo Jan 2002 kay baad upgrade hui hain. Dear Tahira, I think Secondary School Teacher. Dear Tahira, I have only seen the M.Phil to the SSTs. Dear Tahira M.Phil filahal SSTs ko mil raha hay aour dua karain jald sub ko bhi mil jai ga.
Dear Asim, aap concerned office say raabta karain. Dear Sarfraz KPK main to upgradation per premature increment milti hay. Dear Mudassir, u ll join ur duty as it is due in Oct. But at the time of pay fixation, you will send an option certificate to fix your pay wef 2nd December in new scale after availaing the annual increment in the previous scale. Madam meri appointment October 1993 mey BPS-05 mey hoi thi, Phir 03 July 2002 ko through proper BPS 07 mey reappoint ho geya tha. Madam kya iss date ki appointment ki soort mey mujhey 01 Dec 2002 ki incrment mily gi.Office mey pay Fixation section waly kehtey hey k apki fixation 03 july sy hi hoi hey,01 Dec 2002 ki increment nahi mil sakti.Reappointment's mey pay fixation 01 Dec sy dey saktey hey ya nahi? Dear Muhammad Farooq, as far i know in the case of re-appointment option cannot be given for fixation of pay after getting the annual increment in the previous scale. But I a few employees commented that they have done so. Dear Muhammad Farooq, agar re-appointment 1 June or before hoti hay to phir to Annual Increment in the higher scale is confirmed. Madam kya koi Rull hey k reappointment case mey annul incriment nahi di jati? Dear Muhammad Farooq I am also in search of such rulings under which the option can be used in case of re-appointment. Dear Syed Muhammad Ali, please send me via email, the court decision as well as the Notification for the guidance of the other employees. Respected Madam, do u have Supreme court judgement bearing No: 1232(R)/CD-2010 dated 10-11-2010 and Establishment Division Memorandum No: 1/131/2010-Lit-II dated 26-11-2010 and Finance Division U.O No: f-9(9)R-1-2008-1117 Islamabad dated 02-02-2010 in which all the Accounts Officers/Divisional Accounts Officers are upgraded from B-17 to B-18. Respected Madam, please help me that those employees appointed in adhoc basis and then regular on their posts entitled upgradation increment. For example I was appointed in 2009 on adhoc basis in BPS-12 as Stenotypist. In December 23,2011 my post was upgraded from BPS-12 to 14. But I was on adhoc basis. I was regular on 23-01-2014. But my previous service is not counted due to Department policy. My Finance Section informed that when your posts was upgraded then you are on adhoc basis therefore, you are not entitled for upgradation increment. As you are regular on 23-01-2012 but Govt. upgraded your posts on 23-12-2011. Fiance Division Govt of Pakistan issued anomalies that Contract employees are entitled for upgradation increment. But they did not give any comments on adhoc employees. Please help me that whose form I will use to solve my problem. Dear Abdul Rauf if they don't upgrade you from back date then they must upgrade you from the date of regularization. Just apply to ur department for the same Thanks. dear sis kindly tell me if govt. of sindh issued the notification for Grant of Premature Increment on up-gradation or not. reply me on my email address if you can. Dear Gul Khan I have not seen the orders of the same by Sindh Govt. Dear Gul Rehman you are eligible for premature increment under the rules. Whether adhoc employees are entitled upgradation increment or not. I am appointed as Stenotypist on adhoc basis in the year 2009. My post was upgraded BPS-12 to BPS-14. I was not allowed upgradtion increment as my appointment is adhoc basis. 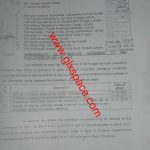 I have received all adhoc allowances during 2010, 2011. Dear Abdul Rauf, I think it also be granted to you. Madam Sahiba, Thank u for your reply. Should we approach M/o Finance to issue Notificiation regarding adhoc employees are also entitled pre-mature increment on up-gradation. Dear Abdul Rauf you can approach for the same. Punjab Govt. kb tk premature increment ka notification issue kray ge koi chans hain ya nai..? Dear Muhammad Shabbir, Dunya bar umeed qaim ast. Assalamoalekum! Sister! i have to ask you here one question that my brother abbas was appointed as Fire Officer in Fire Department, KMC on 04-06-2012 but due to some professional jealousy the pay-sheet clerk not add the annual increment of 2012 (500 Rs.) he told to my brother that you are not entitled for get 2012 annual increment because you appointed on June but as per my knowledge that as per local govt sindh rules if someone appointed 6 months before to year end so he entitled to avail the annual increment. Dear Furrukh, they are right, for the annual increment appointment or promotion etc must be on or before 1st June and after 1st June if any body is appointed he is not eligible for annual increment. 6 months service is necessary on 1st December not at the end of year. Apki ye koshish qabil e taref he k ap employees ki help krti hen. Men April 2010 men BPS 16 men appoint huwa. Ab August 2013 men through commission BPS 17 men aya. Kia mjhe next December 2013 ki increment milegi? Kuch log kehte hen nahen milegi. Kindly mjhe email kar k guide Karen. I had placement from BS-11 to BS-14 on 27.04.2009 at that time was not given to me per-mature increment, therefore, may kindly be informed that i am entitled regarding premature increment. madam kia aap bata sakti hain ke SINDH GOVERNMENT Yeh notification kab issue karegi? Dear Malik Ibrar I am not yet confirm about it when the SIndg Govt will issue it. Agar milega to kab se milna shuru ho jayega? Dear Ibrar abhi tak Sindh Govt nain premature increment ka notification jaari nahin kia. Jab hojai ga to aap ko date of upgradation say hi milay ga.
Dear sister in 1998 our post of Asstt. Supervisor was upgraded and re-designated to supervisor from BPS 12 to BPS 14 and qualification was also enhanced. Those who not fulfil enhanced qualification had to wait 5 years conditional time. After completing conditional time I got up-gradation in May 2002. What is post upgradation time, 1998 or 2002? Am I eligible premature increment or not? It means madam WAPDA mein ALM's ki post BPS 05 mein hy but Departmenatal promotion Exam and Departmental promotion Training pass kerny and 10 year service honey pey Upgradation dy di gae BPS 05 to BPS 07 mein promotion ki tarha because promotion jab honi thi tab bhi BPS 07 milna tha promotion due hy but upgradation ho gae hy. Now tell me k mein premature increment k liay entitled hoon k ni. plz clarify this confusion. It means k WAPDA mein ALM's ka BPS 05 hy but departmental promotion EXam and Training pass kerny py and 10 year service complete honey py upgradation hoe BPS 05 to BPS 07 mein. Now Tell me k ab muje pre mature increment k liay entitled hoon k ni? ya k ager ALM ki POSt ko hi upgrade kia hota BPS 07 mein tab entitled honi thi ye increment. ye pre mature increments posts upgrade py milni hein ya scale upgrade py bi miley gi. for example LDC ki posts pehly BPS 05 mein hoti thi ab BPS 07 mein hi appointment hoti un ki tou LDC's ko milni hy. ager kisi employee ka scale upgtade hoa ho jesay WAPDA mein ALM Bps 05 sy scale upgrade ho k BPS 07 mein ho gia un ko bi miley gi becoz ALM ki appointment BPS 03 mein hoti hy phir 01 year baad BPS05 mil jata hy.BPS 05 sy ab BPS 07 scale upgarade hoa hy tou kia premature increment miley gi k ni BPS05 to BPPS 07 mein scale upgrade honey py? Dear Rehan yeh premature increment kisi bhi upgradation of post per milay gi. Lekan yeh condition hay keh employee bhi upgrade hua ho aour premature increment ki conditions behi is main mojood hoon. Subject: PRE-MATURE INCREMENT ON UPGRADATION. Dated: 28-01-2002 in civil appeal No.637 of 1998. Supreme Court of Pakistan Decision. That although upgradation has been described as placement but in fact it amounts to promaotion because all the criteria for the same as laid down by law have been fully dealt with, and held that upgradation tantamounts to promotion and is entitled to the benefits of promotion and that includes a premature increment. We allow the appeal and diect the respondents to grant the premature increment to the appellant. Supreme Court of Pakistan held the upgradation as promotion under promotion criteria, and FST also given decision in the light of said decision of Supreme Court Of Pakistan and allowed premature increment. 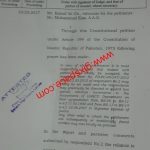 The decision in question is being promulgated by allowing premature increment on upgradation of posts, where criteria of promotion is not dealt with, which is much strange as the decision of Supreme Court of Pakistan indicated the upgradation as promotion where criteria of promotion have been fully dealt with; whereas employees being upgaded under promotion criteria are perhaps ignored in notification. consideration in concern to avoid any confusion in the matter. mein Asst. Audit Officer BPS-16 sy BPS-17 ky liye on ten year service, passing departmental permotion exam, and getting mandatry training upgrade hua hun. Please clearify, mujey pre-mature increment miley gi keh nhi ? Dear Sarfraz if he appointed later after the date of up-gradation then he will not get the premature increment. Dear M Sarfraz you will get arrears from 2010.
i an a federal govt. teacher . mai 2007 mai bps 16 mai appoint hoa tha aur bps 17 hogaya hai ap ye btade k salary kb se milegi? please mujhy ye confirm kerden k meri appoinment 01-07-2007 may as LDC BPS-05 may howi thi later post upgraded ho gay from BPS-05 to BPS-07 kya mujhay pre-mature increment mily ga ya nahi. please note hat i was appointed on regular basis on 01-07-2007 and post has also upgraded from 01-07-2007.
kindly apprised for pre-mature increment in this context. dear sis kindly tell me, have govt. of Baluchistan issued the notification for Grant of Premature Increment on up-gradation or not ? Dear Shahid Memon still no updates in this matter from the Baluchistan Govt. Madam meri appointment October 1993 mey BPS-05 mey hoi thi, Phir 03 July 2002 ko BPS 07 mey reappoint ho geya tha. June 2002 mey BPS-05 ki basic pay 3100, stage 10 per thi, After reappoint in BPS-07 meri pay 3300, stage 09 per adjust ki gai thi, in according to Basic Pay Scale 2001. Madam plz guide me in detail about premature increment. Kya mujhy 28 January 2002 sy premature increment mil sakti hey. Agar koi or detail apko cahey to plz batiay wo bhi mail kar do ga.
Dear Muhammad Farooq, If you reappointed through proper channel and there is no gap between the two posts and ur previous service is counted then u can get the premature increment on re-appointment. Very Thanks Madam for early response. madam mey reappointed through proper channel hoa taha service mey gap bhi nahi hey or previous service count hoi hey, madam kia mujhey premature increment 2002 sey mily gi? Madam kindly pay fixation ki tariqa bhi bata dey. meri re appointment 03 July 2002 ko hoi thi jab k pay 01 Dec 2002 ko Fix hoi thi.baki dtail mery first msg mey di hey. Dear Farooq, plz combined all detail in the same message and email me. Dear Muhammad Farooq Mil sakti hay. dear sis kindly tell me if govt. of Baluchistan issued the notification for Grant of Premature Increment on up-gradation or not. Dear Fayyaz Ahmad still no notification came to view from the Baluchistan Govt. Hum 8 LDCs Jul 2007 ma BPS-5 ma appoint hoe tha. Jul 2007 ma he upgrade ho kur hum BPS 7 ma move ho gae. Ab premature increment k lie jub humara case CMA gae to unho na objection luga dia k ap logo ko premature increment nae mil skte q k 2007 ma jub hmare fixation BPS-7 ma hoe to huma us time ke increment jo k Rs. 160 the utna he benifit mila tha . Ya increment un logo k lie ha jin ko us time ke annual increment sa kum benifit mila tha upgradation k time. Kia ya thek objection raise kia ha CMA na. Pleas reply. Dear Muhammad Naveed It is General Rule for the premature increment that the difference of the two pays must be equal or less than the Annual Increment of the higher scale to get the premature increment. Can an initial appointment Order in Bps :14 be changed to Bps:12 after arrival and cahrge. I was upgraded on 30-10-2012 from BPS-11 to BPS-14 as Accountant in FGEIs. I was not allowed annual increment of 2012 in pay fixation. Don't u think that promotion and upgradation are two different matters ??? The post was same (just upgraded) so why they don't allow me annual increment ??? I don't want to loose an increment in honour of upgradation, now i want to consult that i there any rule pertaining to avail annual increment on upgradation or else ??? Dear Safdar you are not entitled to get the Annual Increment as your service in BPS-14 is less than 6 months. There is condition for the Annual Increment that there should be at least 6 months regular service in a particular scale. is premature increment applies on those who are directly appointed in BPS-07. my date of appointment is 25-08-2007 as LDC. when i applied for job then LDC BPS is 05. On test / interview i received call letter in which LDC BPS is 07. My first basic pay is 2940/- PM. 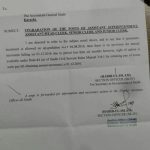 CMA disallowed increment under four tier to some teachers on the ground of "cut" imposed by Ministry of Finance during Shoukat Aziz that "teachers who got mover in next scale by reason of reaching maximum salary limit in current grade "
Dear Zohaib, it is better you send me by email the Gazetted History, LPC etc and the Notification and mention the name of the employee. I ll try to find the solution of the same. dear mam.ma 2006 ma scale 7 pa appoint howa ta 2007 ma scale 9 aor 2012 ma scale same post per ab 12 hain annual increments ma en scales per la chuka ho kia ab ma es premature increment lena ka haq rakta ho kpk ma primary school teacher ho jawab ka muntazir rahonga shukria. Dear Umair, If your province also issues the same notification then you are also eligible for this premature increment in 2007. Dear Madam, I am working as computer operator in District Judiciary. Vide notification of up-gradation of computer operator from BPS-12 to BPS-14 issued by Honourable Peshawar High Court Peshawar. am I eligible for this pre-mature increment? Dear Irshad if u work under KPK province then u can hope for the same upgradation. i have been appointed in SPS 8 in 2010 and got routine promotion in SPS-9 in 2012. Will i be eligible for the above benefit? Dear Hashmi, when u were promoted u must have got premature increment. This notification is for the upgraded employees. As per sps 9 basic is 28k and 4m getting same 28k means thr isnt any advance incree. we am working in Federal department as Computer operators, our post upgraded BS-5 to BS-11 on 1-10-2008.
on 1-12-2008 no increment allowed to us. now we are eligible for 2 Increments or only 1 pre-mature Increment?. Dear Qasim, only 1 increment. as ur service in new scale is less than 6 months. OR ur department must give special permission to avail the annual increment as was done on 01-07-2007 at the time of upgradation of clerical staff. Dear Abdur Rauf, I think the provincial Govt will issue a separate letter. According to this letter you are eligible for Premature Increment. dear sister! if you don't mind, tel me in which deptt do you link with? increment milay ga ya ab 320 increment milay ga.
Dear Amjad aap ko back date say arrear milay ga. juun juun increment change hoti gai usi hisab say arrear milay ga aour end per aap ki increment 320 kay hisab say increase ho gi. Dear I have appointed w.e.f 26.5.2010 as senior auditor b-14 , later the post up graded from 2005 in b-16 now i am getting pay of b-16 should i claim for pre-mature increment ? Dear Ubed Ullah u r not eligible for the same as you were appointed after the post was already upgraded in 2005. 2007 mein bps 2 sy upgrade ho kr bqs 3 hogaya. Aur 2010 mein special education ministry devolve ho kr sindh govt. K under mein aagai . Notification mein likha tha ap deputation base pr hain sindh govt mein. 1 year tak 20% deputation allowance b mila. Ab band kr diya k aap sindh govt mein merge ho gye hain. Jab k merge hony ka koi notification nahe mila. Kya mein b premature increment ka haqdar hon. Aur deputation k bare b aap kuch bata sakti hain. Dear Sabir you can claim ur premature increment in 2007.
salam dear sister! please tell me whether the arear of those adhoc allowances which have remain unfreezed since 2008 & 2010 will also be taken after getting premeture increment on unpgradation, please? Dear Sami Ullah these allowances will be revised and then if freezed later will be freezed at the new rates and thus u ll get arrears too. Salam Sir, my date of first appointment as LDC was Aug 2006 after that i was reappointed as UDC in April 2008, how would i prepare my fixation for premature increment on upgradation. please guide me i am confused. Dear Sami Ullah, u can fix ur pay by upgrading ur scale on 01-07-2007, then revise your scale and then add one increment on 01-07-2007 or you 1st revise then upgrade which ever is in ur benefit. 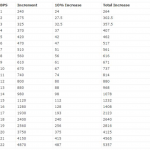 Then if you reappointed as UDC in 2008, then got the next above of the BPS-09 and add 1x premature increment. salam ! one of my friend was appointed as LDC in FG Educational department in Sep 2007 please let me know whether he is entitled for pre-mature increment on upgradation the post of LDC/UDC? Dear Sami Ullah he is not entitled for the same premature increment as he was appointed after up gradation of the scales. thank u sister for information. Salam sister i was appointed as junior clerk in BPS 5 in 2007 then post was upgraded and then i was in BPS 7 in April 2012 i was promoted as a senior clerk in BPS 9 now what is my dues ? Dear Amer Mehmood you are entitled to get premature increment in 2007.
what is the procedure for grant of pre-mature increment? like, a LDC was upgraded from BS-5 to BS-7 from 1-7-2007, than what grade increment will be granted to him. BS-7 or BS-5? Dear Khalid he will get BPS-7 Increment. aslamo alaikum,my question is, i am a office assistant i was awarded selection grade 15, in 2005,at that time the post of office assistant was of bps-11,am i eligible also? Dear Najam the case of selection grade employees is still in confusion for all the SG employees in this regard. If a person appointed in BPS-.04 and up-graded in BPS-05 and then promoted in BPS-06 in BPS-06 He was granted Pre-mature increment in 2011. In 2012 the same person Re-appointed in BPS-16 and also got pre-mature increment as well..
Dear Irfan Khan the same person can get the premature increment at the time of his upgradation ie from BPS-04 to BPS-05. Grant of M.Phil Allowance to School Punjab Government employees including Teachers @ Rs 5000/- PM is really a great decision. Is there any news for same allowance for Federal employees who have M.Phil education / 18 years education ? Dear Ali still the same notification has not been issued for the Federal Govt Employees. I was appointed at 15-12-2008 is this also implemented on me or not please Reply. Dear Anwar Ali, u were appointed not upgraded that is why u r not eligible for this premature increment. Dear Irfan Khan you are eligible for the same increment. i am working in a university and have MBA Degree, i am working as UDC my boss agree to give me some incentive on performance base. my boss belongs to teaching profession and presently he is working as Dean of the faculty. now please guide me some points to put up the case. our admin persons did not cooperate in this regard. Dear Farooq I am not confirm about the same situation. Dear Farooq, here no qualification or performance required all the employees who have been upgraded will get this increment. Dear Akhtar Thanks for admiring mine efforts for the employees and being the regular visitor of mine site. On Upgradation u ll get the premature increment as well as u ll also get premature increment on ur promotion. These are separet increments. Thanks you dear Akhtar, I ll wait your co-operation for the betterment of the employees. A.A. Admin, i am working the university. my question is, i was appointed as senior clerk (BPS-07) in November 2006 and in 2007 the govt. upgrade the scale and my scale was upgrade BPS 7 to BPS-9. once again i was promoted in November 2009 as assistant BPS-14. Can i avail my increment according to the notification and also effect the other allowances. thank waiting for reply. Dear Shahid you will surely get the same premature increment as well as other adhoc allowances from Back Date. madam salam...may KPK may 2008 may scale 9 may primary school teacher upgrad ho kar scale 12 may agya tha..2012 may primary school teacher ki post upgrad kar k tamam teachers k key 12 kar di gai jab k hamay scale 12 say seniority pa scale 14 may 12 say upgrad kia gya...ab hmay kithnay pre-mature increments milaingay...2 ya 3? Dear Abdul Gaffar if you upgraded twice then you will get 2 increment in this regard. I was initially appointed as Junior Clerk (BPS-05) then the post of Junior clerk was upgraded (BPS-07) in the year 2007. Then I was taken-up / promoted as Junior Stenographer (BPS-12) in the year, 2009 and luckly it was again Junior stenographer upgraded in (BPS-14) in the year, 2011. How can I benefited on these two upgraded posts? (BPS-05 to BPS-07) and (BPS-12 to BPS-14). Dear Naveed Somoro just send me ur pay detail as well as ur dates of appointments and upgradations at mine email ID. dear sister, is me sirf aik increment ka faida hay ya or be allowances hay. example mera abi 320 increment hay. me 2007 me upgrade howa ho. please tell me. Dear Amjad not only 1x premature increment, there will also be increase in adhoc allowances. Aoa madam may march 2009 may bps 16 may psc se kpk may appoint huwa. Pair 01/01/2010 may mujay bps 17 may upgrade keye geya. Lekin mere salary k sath inc nahi deya geya. To keya may phir is k leya illegible ho. Yes dear Mubashar you are eligible for this premature increment. Dear sister I am working as lecturer in Education Department of KPK. This year more than 200 lecturers were promoted to Assistant Professor(BPS-18). My seniority number was 94 in this promotion case but unfortunately my name was not included due missing of ACR for year 2012. Now I have submitted my ACR and my name is on 17th number in the next case for PSB which is said to be held in June 2013. Now I am worried that I will not get the premature increment on my promotion in the coming notification. If you kindly guide me that depending upon my promotion order when I am eligible and when I am not eligible for premature increment. That is in case the order is issued after june (e.g. in July), then am I eligible for premature increment or not? Dear Gul Nabi you will be entitled to get the premature increment on promotion. It is better you check your pay after getting the annual increment this year and then fix your pay on 2nd December along with premature increment. If you will get your pay fixed in July then you will not be eligible for annual increment. Yes dear on promotion there is Next Above fixation + one premature increment and if there same stage at the time of fixation of pay then there will be two increments. After seening ur pay i think you have got the premature increment on ur promotion. yes madam at the end of the year in december 1 increment added in my basic pay but premature increment is still hidden? Dear just send me ur full detail of pay as well as ur date of upgradation at mine email. Is this Pre-Mature Increment Notification applicable for Atomic Energy Commission(PAEC) employees?. Yes dear Imran Khan this notification is for all the federal Govt departments. Kya fg teachers upgradation and timescale case jeet Gaye hn? Kya tmam teachers upgrade ho jaen gay? Dear Saima Farhan according to the sources FGEI teachers have won the case. Detail of the same will soon be available at this site. Me 2002 se fgei me hn magar me pehly mtt the phi exam dya to TGT ki post par hn since 2007.kya mera ye increment lagy ga? Dear Saima You are not eligible for the same increment. How ever if the pay difference of these two posts is less than the new scale increment then you can get the premature increment if you had applied through proper channel. Thanx mam magar mujhy difference kesy PTA chilly ga?aur kindly ek bt aur bta den k jo fed gov ka 20% increase hua tha wo fgei walon ka q nae hua? Dear Saima diffrence pay fixation karnay say pata chalay ga. 20% allowances FGEI Waloon ko nahin mila. or mujhe ye pochna he k 1- ye sirf federal employes ke lye he ya province men bhe effective ho ga,ya phr jab tak province ka alag notification nhen ho ga hamen nhen mile ga? 2- premature incriment men kitne incriment lagen ge meri joining feb 2011 he?or ye k yeh Annual incriment k elawa he ya phr jis ne upgrade hone per jo new grade per incriment lagte hen jese k mere ne 610+610 k 2 incriment lag gye hen 2 years k tu mujhe mile ga ab yeh? Dear Fawaad, Provincial Governments will issue separate notification of the same. Yeh increment us ko milay ga jo upgrade hua ho aour is ki value annual increment kay equal hay. Dear Admin! i want to ask that to whom annual increment is granted? i mean suppose if a person has joined his service on july and is he eligible to get annual increment on january? or his annual increment will be started from next july? (on completion of 1 year)? Dear Kamran, Annual Increment is always granted on 1st December. If you joined on July then you will not get the annual increment this year and you will get the same next year on 1st December. My post of medical technologist was upgraded frm BS.16-17 and was gvn such grade wef 30march 2011 i have query that whether this increment wud be included in my pay automatically or i have to apply for it ? I was appointed in BPS17 (as Junior engineer) in a defence organization, in Sep-2004. Then after 05 year of service, i was promoted to BPS-18 (Senior Engineer), in Dec-2009. Will I get any benifit from this notification? and a premature increment would be provided to me???? Dear Rashid Khan this increment is only for the employees who upgraded. The promotion increment is already in vague. Dear Ibrar this notification is only for the Federal Govt employees and hope soon the provincial govt will too issue the same notification. Dear Imran you are eligible for premature increment. However annual increment depends on the notification issued by your department. Dear Shahid you will get arrears wef 01-07-2007.
thanks for your early feedback. plz ap ye clear kr dein k jab hm appoint hi 08/2011 ma hue han as a assistant, to arrear 07/2007 se kese mile ga. kyunki tb to hmne job hi nai ki?? ma baki sb samajh gia hun, plz ap ye clear kr dein. thanks a lot. Dear Ahsan if you are appointed in 08/2011 then you are not eligible for the same premature increment. salam sister, i am a stenographer men upgrade tu ho gya hon meri joining feb 2011 he mujhe premature incriment mile ga ya nahen? Dear Fawad Khan, if your post upgraded during your service as stenographer then you are eligible to get the same premature increment. Thanks. Kia ye sb upgraded employees ko nai milega. Chahe hm upgradation k bad hi appoint hue han. Lekin hmai b ye increment milni nai chahiye?? Kyunki Jo pay chal rahi hoti ha wo New appointees ko milti ha. Jese hmai adhoc 2010, 11 b Mila jb k hm 08/2011 ma appoint hue han. No dear it will be only granted to the employees who were upgraded and will be upgraded in future. Sir, i was appointed as JST BPS-09 in 2008 in education Department and after passing B.Ed Examination I was allowed BPS-14 on 01-03-2010. My question is that am i eligible for Pre mature increament because some teachers say it is for promotion not for ALLOWED SCALES. please guide me in this matter. Dear Shaukat it is only for those employees whose posts were upgraded. We are working in Pakistan Railways. 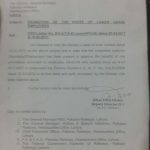 In 2007, Shaikh Rasheed Federal Minister of Railways , upgraded the all railway employees by one scale ie: Employee working in BS 14 was upgraded in BS 15 , Only time scales were awarded,mean only one scales was given to each employee, posts were not upgraded,only one step given , pay was fixed point to point and no pre-mature increment given. Are we eligible for the same ? Dear Akhtar Ali if all the employees of the same post were upgraded then it is confirm these these posts were upgraded and they are allowed premature increment. Ma WAPDA ma as Assistant appoint hua hun 2011 ma. Assistant upgrade hua tha 2007 ma 11 se 14 ma. Kia hmai Ye mile ga, or hmari date of appointment se arrear mile ga k nai? Dear Ahsan aap ko bhi yeh increment milay gi. aour yeh 01-07-2007 say aap ko milay gi. Dear Farhat I have explained that if some one has upgraded means the person was in BPS-11 and he was upgraded in BPS-14 then he is eligible for the premature increment. If he was appointed after the post was already upgraded then he is not allowed this increment. What about the employees of Pakistan Armed forces(Army,Navy and air force)? I got commissioned in Army in July 2012 and have not got any annual increment in january 2013? Will i be benefited according to this scheme? Dear Zaigham, u have not 6 months service before annual increment so you are not allowed annual increment. Dear, main 28 July 2009 ka as a L.D.C appoint hua tha aur May 2012 main promotion ho ker UDC ban gia tha, kiyoon k length of service puri nahee thee iss liyay may sy jul 28 tak acting charge base aur phir jul 28 sy regular UDC, jab hamri service books AGPR pay fixation k liyay gayee to unhon ny hamain increament nahee dee, reason batayee k kiyoon k jul main regular huay hain iss liyay increament nahee mil saktee, yeh baat theek hay ya nahee??? ager hamain wo increament milli to yeh jo announce huee hay yeh b millay gee k nahee???? Dear Idrees if u were promoted on July then have u got the annual increment? This increment is only for those employees who have been upgraded. The employee who is promoted already get the same increment. financially LDC up gradation case ma kitna benefit hoga? Dear Rashid 01-07-2007 ko increment check karo aour sath hi sath 2009,2010, 2011, 2012 kay adhoc allowances main bhi usi incement kay hisab say izafa hoga. Dear Sis, Thanks for updating, but kindly tell me, is this implemented on WAPDA employees? I was upgraded from 12 to 15 in Oct-2011 and now my grade is 16. Dear IR KHan this increment is for all the employees of Federal Govt who upgraded since 2002 and in future too. We are working in Pakistan Railways. In 2007, Shaikh Rasheed Federal Minister of Railways , upgraded the all railway employees by one scale ie: Employee working in BS 14 was upgraded in BS 15 , Only time scales were awarded,mean only one scales was given to each employee, posts were not upgraded. Are we eligible for the same ? Dear Akhtar ALi, time scale aour upgradtion main difference hota hay. Time scale ki increment to usi waqat mil gai ho gi. Greetings! I want to know if this applies to my younger sister. In 2009 she posted as ESE in a primary school, then in 2010 she became SESE and finally in 2012 she posted as SSE. Do she get any benefits from this? Dear Zahid if her scale up-graded then she will be eligible for the same and for the provincial govt employees the separete notification will be issued. Thanks a lot sister for keeping everybody posted about the latest happenings. Balochistan employees jo up-grade hove hein kiya unko b pre-mature increment mile ga? Dear Ali this notification is still for the Federal Govt employees and hope it will soon be implemented for all the employees of Pakistan. We are working in Pakistan Railways. In 2007, Shaikh Rasheed Federal Minister of Railways , upgraded the all railway employees by one scale ie: Employee working in BS 14 was upgraded in BS 15 , Are we eligible for the same ? Dear Akhtar Ali they are all eligible for the premature increment. What does it mean??? can anyone help me out?? Dear wiki this increment will be given to those employees who are up-graded their scales. I mean to say what type of increment is this? kia benefit milega? Dear Wiki 1 increment ka benefit milay ga aour sath hi saath date of upgradation say arrear amount bhi milay gi aour saath hi adhoc allowances bhi increase hongay. janab ma BS 13 to BS 16 ma upgrade hua tha May 2010 ma.... mjhe salary n allowances BS 16 ki mil rhe hain.... Phr ye increment mjh pe applicable hoga? Yes Dear Wiki you are eligible for the same premature increment. dear sis kindly tell me if govt. of Baluchistan issued the notification for Grant of Premature Increment on up-gradation or not. reply me on my email address if you can. thanks and regards. Dear Fayyaz still no provincial governments have issue this notification only federal govt has issued.